Back to school …. it can be such an exciting time. It can also bring a lot of chaos. Many families (mine included), take the summer “off.” We relax. We go on vacations. We go to cookouts – or we picnic. Schedules tend to go away … we don’t have as many things to tie up our time – and for the most part, we just enjoy the season and have fun. Having fun – that’s what summer is about, right? When that school bells rings however, those lazy days of summer seem to be long forgotten (but yearned for) and are replaced with full schedules and crazy-full days. It seems many families are busy running from this activity or sport, to the next one. What do we sacrifice? Dinner. Many times, dinner means hitting the drive-thru or picking up the phone for delivery … because really, who wants to add one more thing to their already long and crazy day? Although there’s nothing wrong with take-out, it’s not necessarily what we want to do – but time is the issue and we want something easy. Are you a fan of breakfast … or breakfast for dinner? My family loves it. Meaning, they actually look forward to it – they act like they won the dinner jackpot or something when we have it. They’re weird, I know. What if I told you that Farmland can help make mealtime fast and easy?! Four ingredients (five – maybe six if you want to add salsa and sour cream) and about 20 minutes is all it takes to have a home-cooked breakfast or dinner on the table that’s way better than take-out any day! Some of my family’s favorite meals are quick and easy! I have a few recipes that I keep in mind and just switch up the ingredients to make mealtime easy. Some of my (and my family’s) favorites are omelets/scrambles, pasta dishes, fried rice and quesadillas. I almost always have ingredients to make these kinds of dishes …. and it’s easy to customize or change up the ingredients to feel like we’re having a whole new dish!! By using ingredients you typically keep on hand, you can save time and money. Of course, when making these quesadillas, if you prefer Farmland’s ham or breakfast sausage in place of the bacon, feel free to substitute that instead! We had our Bacon, Egg & Cheese Quesadillas with salsa and sour cream on the side and a piece of fruit (clementines just happened to be on our plates this particular day). In a skillet, cook the bacon to desired crispness. Remove the cooked bacon to paper towels to drain. Remove all but about 1 tbsp. of the bacon grease. Add the beaten eggs to the pan. 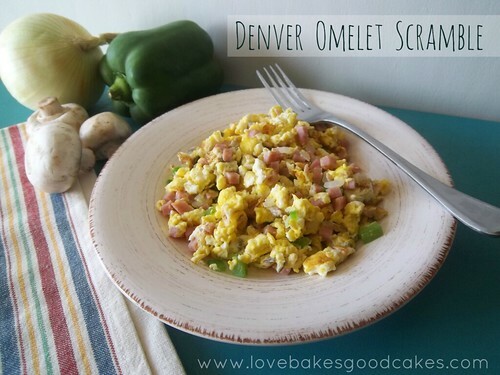 Cook and scramble the eggs until they are set and no longer runny. Remove the eggs from the heat. Crumble the bacon. Preheat a griddle over medium-high heat. Place a tortilla on the griddle. Spoon one-fourth of the eggs over half of the tortilla. Top with one-fourth of the bacon and one-fourth of the cheese. Fold the bare part of the tortilla over the top of the ingredients. Cook until the bottom begins to brown – carefully, flip the quesadilla over and continue to cook until the bottom browns and the cheese is melted. Remove from the griddle to a cutting board. Slice into 3-4 wedges. Repeat with remaining ingredients. Serve with salsa and/or sour cream, if desired. Be sure to visit Farmland’s website for even more 35 minutes (or less) recipes. If you’re the social media type, you can find Farmland on Facebook and Pinterest. For those of you in Arizona, you can find Farmland products at your local Bashas’ – that’s where I found mine! 🙂 I have seen Farmland products at Food City also! We would love these. And I'd have them for dinner on a night when my husband's working late. I love tex mex but have never had it for breakfast! Your blog looks so yummy! 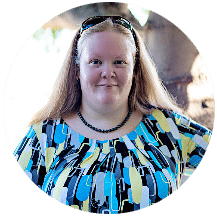 Stopping by from the Great Blog Train linky & following you via GFC! Our chickens are giving us 3 eggs a day so I'm on the look out for different ways to use up eggs – these fit the bill perfectly as I have an open pack of tortillas that needs to be used up! Wow, these look so great. 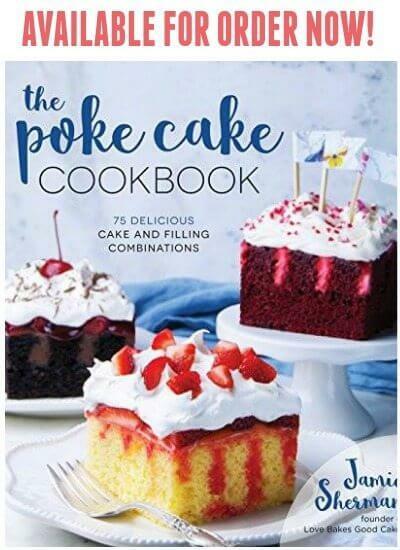 I love all of the ingredients…you've got a winner, Jamie! These look so good and so easy. Thinking about making them for dinner one night! Thanks for linking up with FFF! Sharing on my page later! These sound awesome. Thanks for sharing on Foodie Friends Friday. I will be making these soon. It's 10:30 at night and now I can't wait for morning to whip these up for the kiddos (and me). Thanks for sharing at Inspire Us Thursday on Organized 31. Great idea! I'm always needing new breakfast ideas. Love this! Found you through Marvelous Monday Link Party! These look delicious. 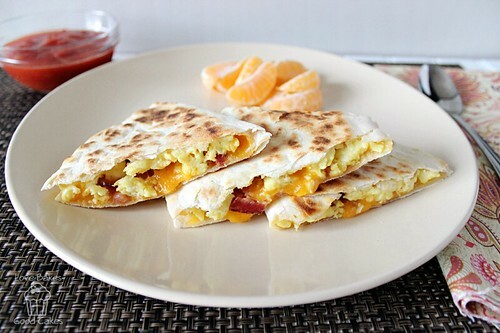 Love the idea of a breakfast quesadillas. Thanks for sharing! Yum! This looks so good I have feeling I'm making breakfast for dinner tonight. this looks so delicious! Pinning it and can't wait to try it!! 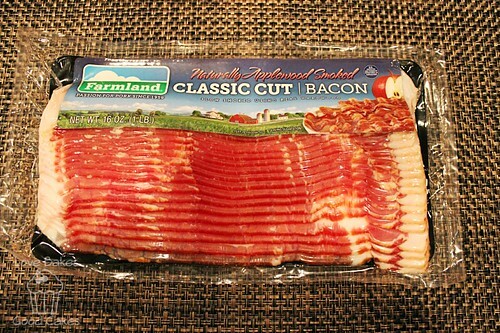 I love Farmland bacon! I love quesadillas too–they're my "go-to" food and great for using up leftovers. Never thought to make a breakfast version. Thanks for sharing, Jamie! Can't go wrong with bacon! My kids love "brinner" too I think because there are fewer veggies on the plate! G'day! I would not have thought of this for a quesadilla, true! I LOVE quesadillas and this is now on my list to do! Thank you! 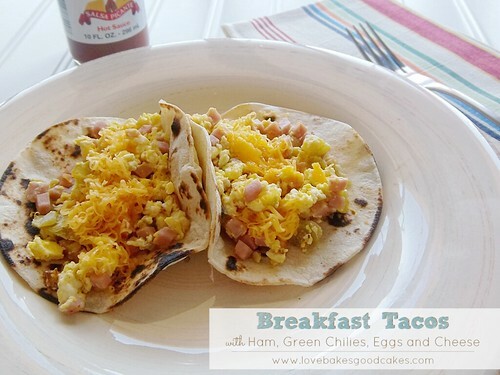 I have lived in Texas, land of the breakfast taco. I has never occurred to me to make breakfast quesadillas. This is genius. Thanks for sharing at Saturday Dishes. 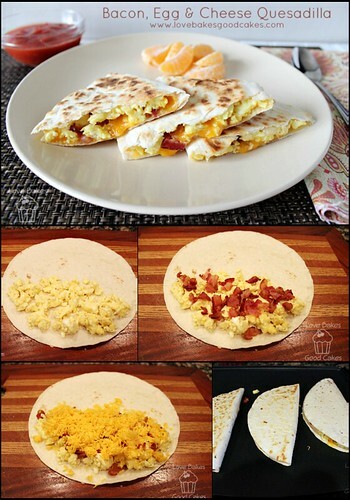 Quesadillas are so popular in my house.. perfect, quick breakfast. Thanks for this recipe.